Alas, not so. In our electronic society, kids exist in databases even before they’re born. And they are an attractive target for several kinds of bad actors on the dark web – those who want to exploit their names and other data for identity theft, such as opening credit card accounts, child pornographers looking for images that can be photoshopped, school bullies, and so on. Although this post focuses on identity theft, taking the steps described herein will also protect your children from other bad actors. What’s So Bad About Social Security Numbers? As they were originally intended, nothing. The original intent was to use them to associate a specific individual with a specific record of earnings. But over the years, they morphed into the closest thing we have to a national identifier. Many organizations ask for it as a kind of reflex, with no intention of either using it or controlling its use. They have the notion that having an SSN makes your child a “real boy” (as opposed to a wooden one like Pinocchio?). This leads to the first set of steps. Never give anyone an SSN, or a copy of identifying documents, without knowing why they want it, and what the intended use is. If it is just a bureaucratic reflex, ask what you can do instead of handing it over. Check your child’s Social Security Earnings Record every year. You can get this by calling 800-772-1213 or submitting SSA-7050 Form. If you know the child has never worked and you see any earnings, that is a sign of possible identity theft. Contact Social Security immediately. A list of Social Security local offices can be found here. The same goes for earnings in excess of what you know a child who is working earned. A non-certified copy of the earnings record is free; a certified report is $34.00. There is no reason to get a certified copy just to monitor your child. 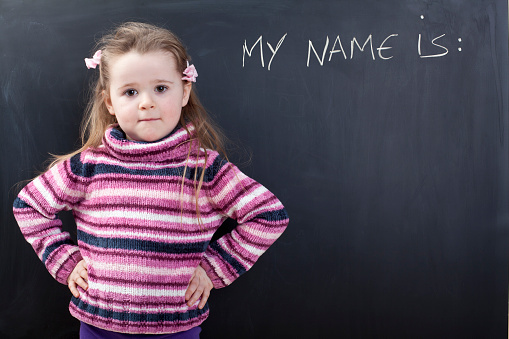 Check all three of your child’s credit reports every year. Reports are free once per year. The three large credit bureaus that control most of the records are Equifax, Experian, and Transunion. Their online sites are Equifax, Experian, and Transunion. Check any packages sent to your child. If you permit them to place orders online, make sure that what they got is what you or they ordered. And, of course, it is obvious that you should keep your operating system, anti-virus, and anti-malware software updated. If you check every day, you will find that there is almost always an operating system patch, virus and malware definitions updates, or driver updates waiting to be installed. Check to see if you can configure your OS and virus/malware software to update automatically. This exposes you to potential bugs, of course, but it will give you some peace of mind in the long run. Unless you are a true geek, consider it. There are lots of other ways to keep your children safe online and this is an important topic you should discuss with them at the earliest time. You just can’t wait until your kids are teenagers anymore to talk about cybersecurity and online predators.